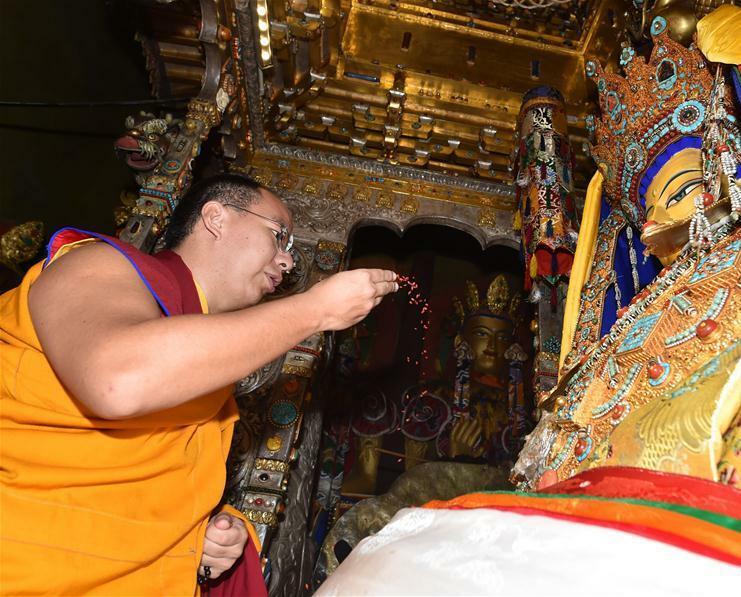 On January 17, incense smoke swirled like usual in front of Jokhang Temple in Lhasa, Tibet. 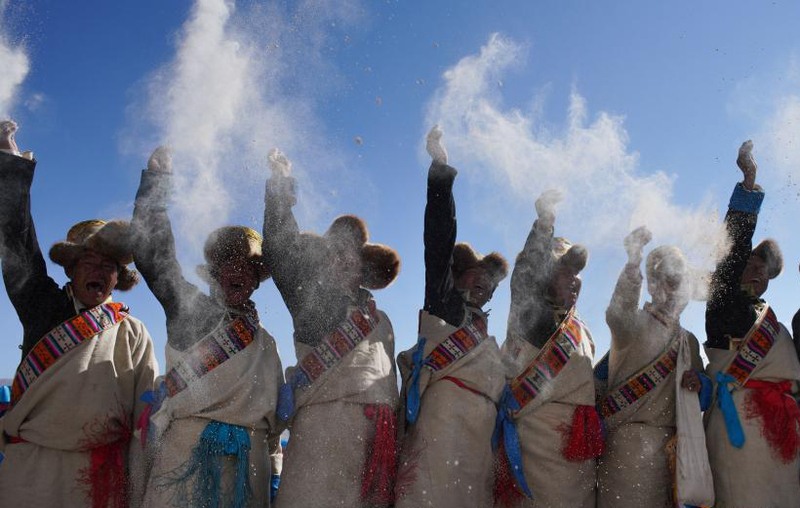 The five pillars of prayer flags around the temple were undergoing their annual “clothes change”. 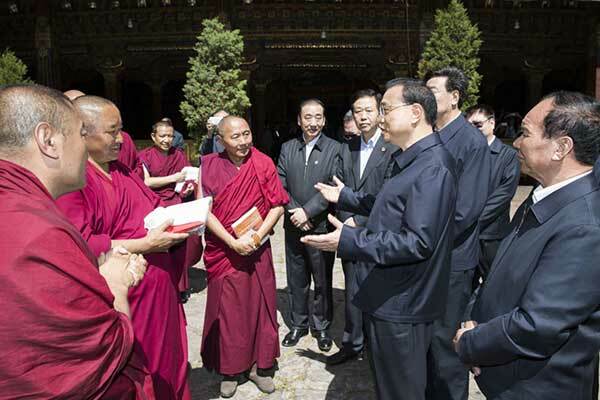 Many Buddhists and tourists witnessed this moment of “ringing out the old and welcoming the new”. 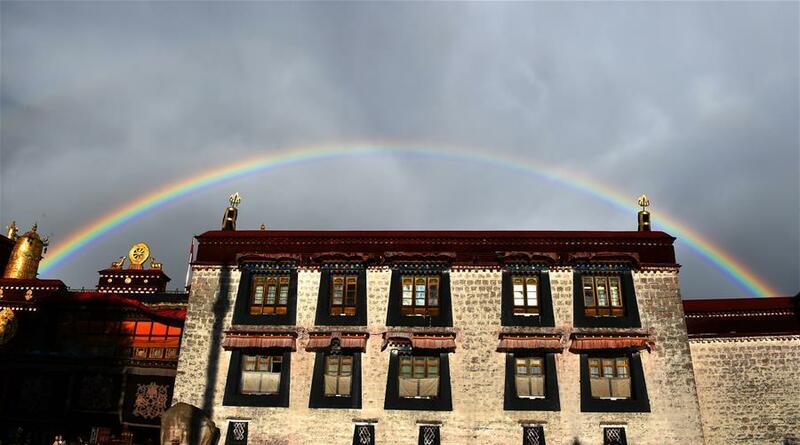 The workers are changing prayer flags for the five pillars in front of Jokhang Temple in Lhasa, capital of Tibet Autonomous Region. 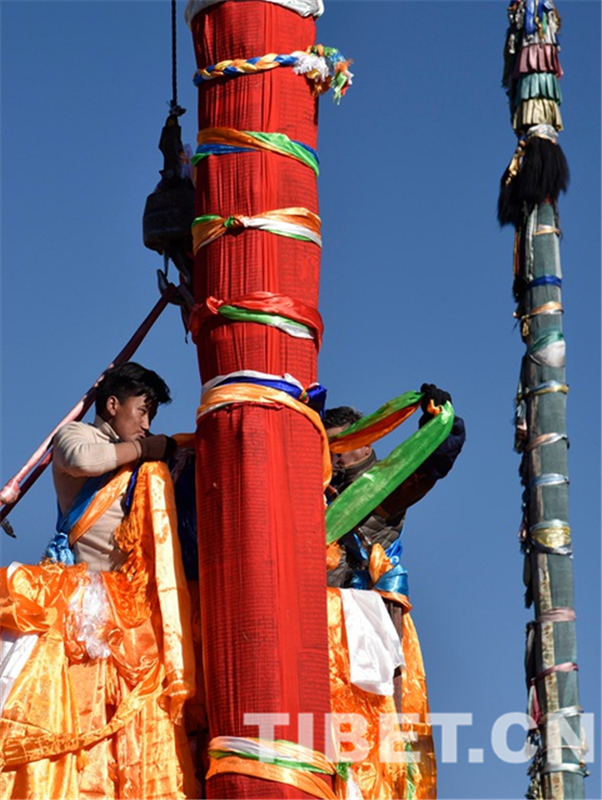 As many Buddhists and tourists watched, two cranes carrying workers to replace the pillar flags hoisted them more than 20 meters high, and they removed the old flags and khata. 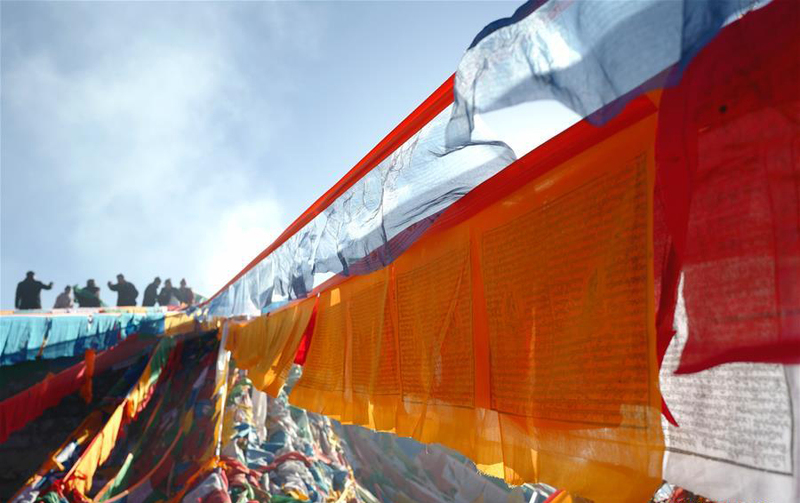 Under the pleasant sunshine of midwinter on the plateau, the workers wrapped prayer flags about 20 meters long around the pillars and then tied them with khata. From time to time, Buddhist followers and tourists in the crowd would throw up a khata, hoping it could be tied on the pillar. 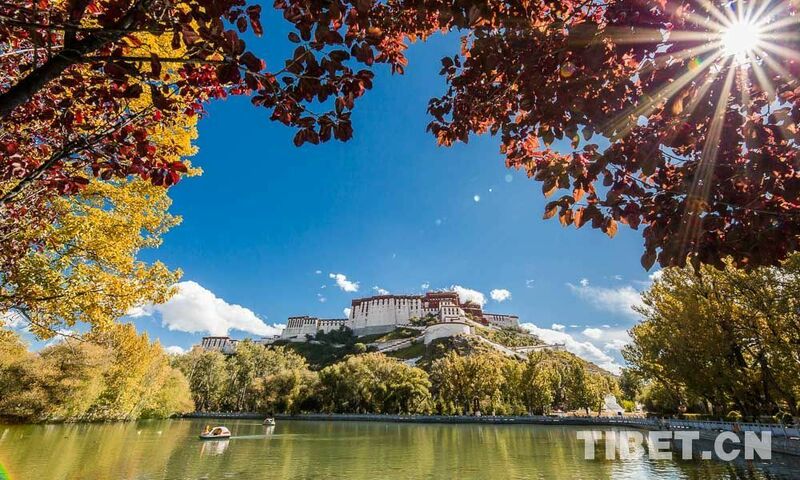 According to custom, after the prayer flags at Jokhang Temple are replaced, temples throughout Tibet will gradually replace their prayer flags.